Soundproofing may be thought of as a way to keep noise out or in. For instance, external traffic noise for a keep “OUT” example or keep “IN” if it’s loud music, etc. to keep the neighbors happy.. In many cases there is a privacy issue too, both inside and out. “Soundproof” is a misnomer as there are levels of sound control which are obtained at higher costs of materials and labor. Usually the level to be described here are average levels that can reduce the sound to a level of annoyance to one that can be easily tolerated. 1). Walls, External and Internal. 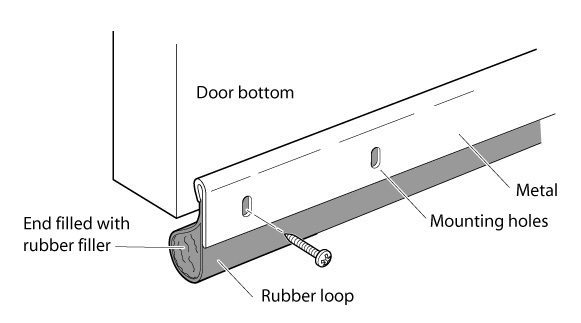 The techniques involved are ones easily understood and that can be performed by most any handyman or DIY’er. The pitfalls are that these techniques are sometimes replaced by preconceived notions on how to go about it. Even some contractors are notoriously misinformed and many times they do jobs that actually can make things worse. Let’s look at some common solutions that are proven to work well with minimum expense and effort. MLV comes several different types, fitted to different sound control solutions, but the one mentioned will double the soundproofing of any wall. 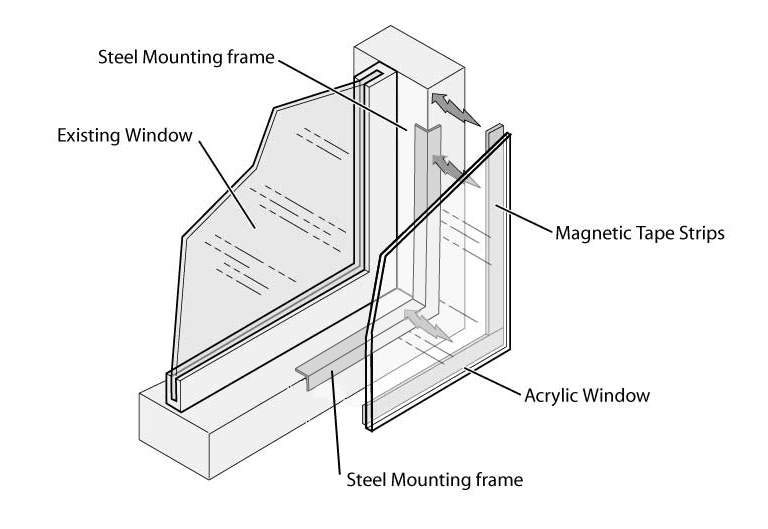 Windows: There are several solutions for soundproofing windows, depending if you want light or not. A “Window Plug” is simple a slab of special 2” thick Vinyl Nitrile foam cut a bit oversize to be a press fit into your window opening. Don’t push it up against the glass, leave airspace, it will work blocking sound better. A better solution that means you may not have to remove your blinds from the window opening as in the previous solution and can be left in place to provides light: a “Secondary” window. It clear plastic sheet fits over your existing window creating a dead airspace. Since sound doesn’t like to travel through dead air very well, it is very effective in blocking sound. The magnetic tape holds it in place making removal easy. Doors: Because sound likes to travel via the easiest path, sealing around the closed door is essential. 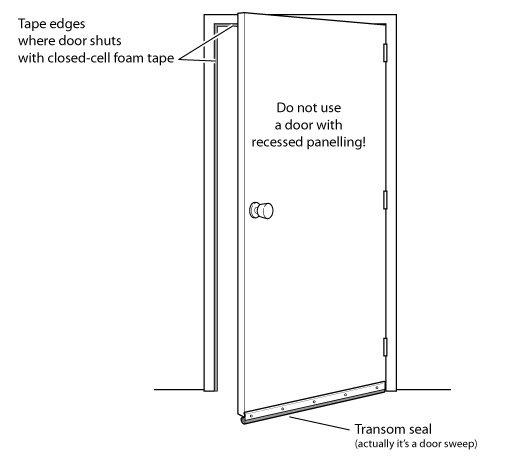 You must use a closed cell foam tape around the perimeter of the door where any light can be seen coming through. The large gap at the bottom of the door must be closed off with a door sweep. Typical door sweeps are for drafts, but there are specially modified ones that also block sound. They install simply with a few screws.